The third molars (wisdom teeth) usually push through the gums in the late teen years. 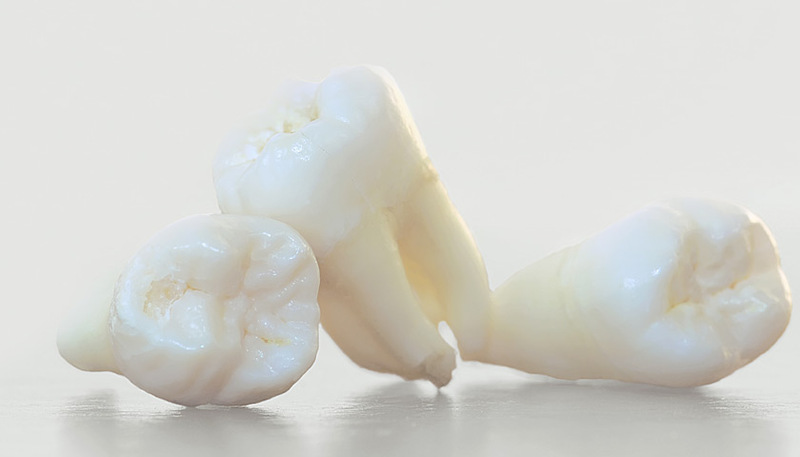 Often there is not enough room in the jaw for these new teeth to fully emerge, which can lead to complications such as crowding and impacting, decay, cysts, infection and structural problems associated with chewing. Often the damage occurs before patients are aware of a problem. X-rays can indicate whether there is a problem or likelihood of a future problem. This is best done sooner rather than later, before the roots are completely formed and embedded in the jaw. In many cases the removal of wisdom teeth can be done under local anaesthetic in the dentist chair. Complicated cases are referred to a specialist for treatment under general anaesthetic in a hospital.